The computer has become a natural part of the Ham Radio shack. Once the HamSphere software is downloaded and installed, you will have a powerful Ham Radio Transceiver on your desktop without any extra hardware. It is more and more common for amateur radio operators to use Ham Radio software in their daily operation. In order for all of the programs to be visible at one time, a large single display is used. The Ham Operator can launch different programs at the same time such as UTC Clock, Log programs, Microphone processors, RTTY decoders, HamSphere etc. 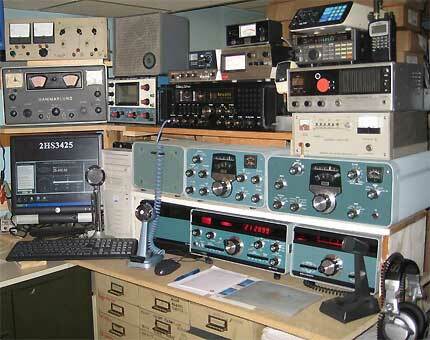 Ham operators have long known the advantages of having a computer in the shack for full-time ham radio operation. The disadvantage is that computers can generate interference that causes problems for the HF band (and sometimes the VHF band as well). This can actually impede the operation of your station and your ability to log DX. 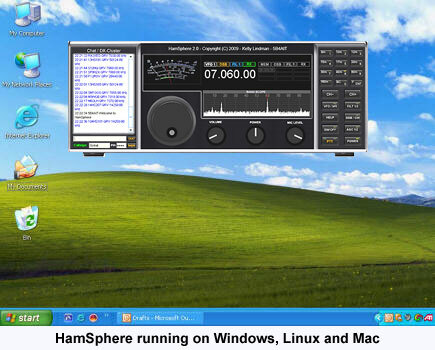 HamSphere Ham Radio Software is a virtual Ham Radio Transceiver for your PC desktop and by using the software, noise and bad propagation can be eliminated completely. Voice over Internet Protocol (Voice over IP, VoIP) is one of a family of internet technologies, communication protocols for delivery of voice communications over Internet Protocol (IP) networks, such as the Internet. It is now widely used by Ham Radio operators. HamSphere uses VoIP to transport the audio between the server and client. Ham Radio Software like HamSphere is designed for both Hams and non licensed radio enthuasiast. Ham software was once thought to be a means of communication between radio enthusiasts, but is nowadays including data and contest loggers, log books, Morse code tutors, RTTY Decoders and aerial design aids etc. In our forum you will find a lot of links to Ham Radio software utilities.